Tulku at Kopan Monastery, July 26, 2005. Photo by Daniel N. Reid. Geshe Tashi Dondrup, school principal at Kopan Monastery, contributed this reflection for an article on Lama Lhundrup, published in Mandala July-September 2010. Lama Lhundrup is really a bodhisattva. He is never too tired to look after the monks and nuns here, just as a mother would. His special quality is real compassion. He doesn’t want to make anyone unhappy. Whether senior or junior student, whatever permission is requested, he will never reject it directly but instead give gentle advice. Without Lama Lhundrup, the nuns wouldn’t want to stay in the monastery. He shows a special and great kindness to the monks and nuns, both in relation to Dharma and to material things. Whatever is given to him, everything, he shares with the monks and nuns. He tells the monks and nuns to study philosophy well and to become good monks and nuns, and that he will look after them with whatever they need. He is never physically or mentally tired, attending all sessions and spending Saturday holiday in the nunnery teaching. 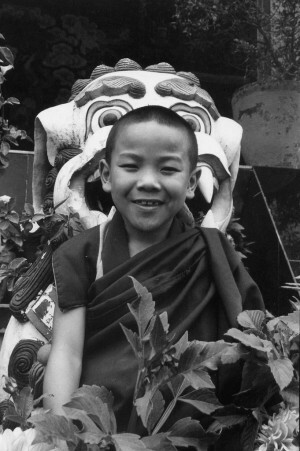 Geshe Chokley related how from even 20 years before, Lama Lhundrup really looked after all the small monks as a mother would: wiping noses, dressing them, etc.